Minneapolis, United States of America, January 17, 2017 – CC Concrete of Minneapolis, MN has won “Best Of Customer Service” on Houzz®, the leading platform for home remodeling and design. The homeowner-focused, concrete design firm was chosen by the more than 40 million monthly unique users that comprise the Houzz community from among more than one million active home building, remodeling and design industry professionals. “We are so grateful and humbled by this award. There are so many contractors to choose from, so every time a customer selects us, we get excited. We love connecting with others in our community and take great care to make sure customers are happy before, during and after we have left their project,” Pamela Roble, Office Manager, CC Concrete. 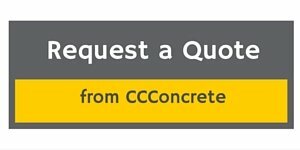 CC Concrete is a concrete construction company in the Twin Cities MN area that focuses on concrete flat work. Their exemplary knowledge of concrete placement, homeowner focus, along with the best employees have made them the premier choice for concrete construction in their region.